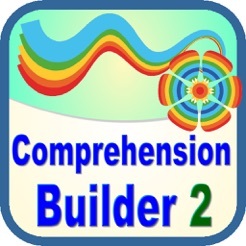 Comprehension Builder 2 is the second app in our comprehension series that focuses on understanding “wh” questions with a more complex sentence structure, including past and future tense verbs and prepositional phrases. 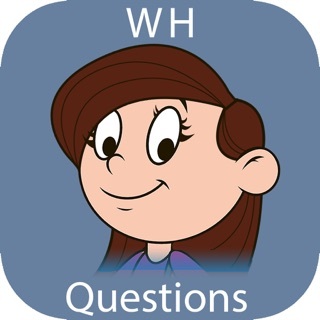 We have continued to use color-coded sentence parts, with subject, verb, object and preposition components, while asking more difficult “Wh” questions – (When? How? Why?) 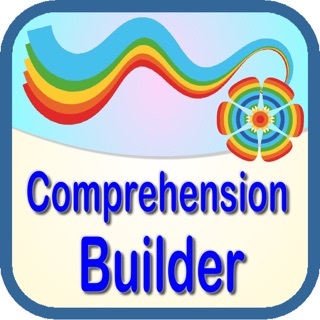 to help build comprehension. 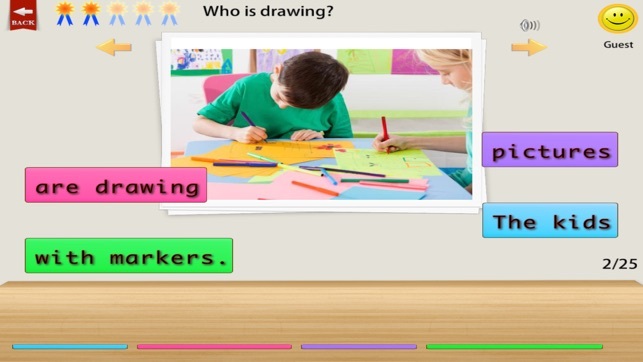 Level 2 - Color-coded sentence parts without the color-coding to match for sentence building. 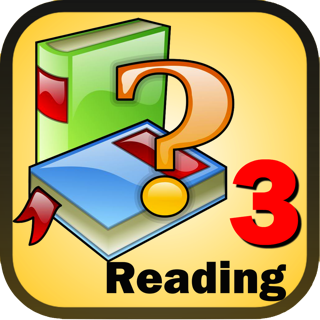 Level 3 – Fill in the blank, with parts of sentence provided and words that must be (dragged to sentence) filled in correctly. 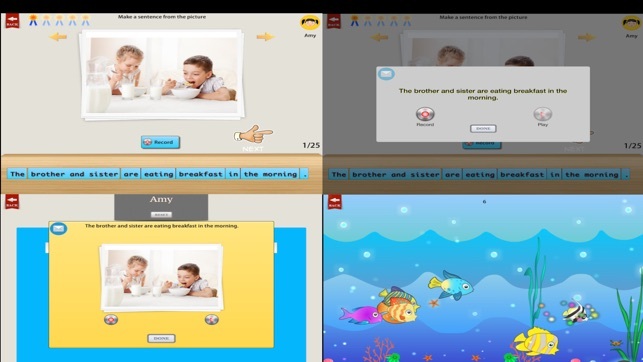 Level 4 – Multiple Choice, with error reinforcement statements to develop understanding of why the selection was incorrect before making another selection. 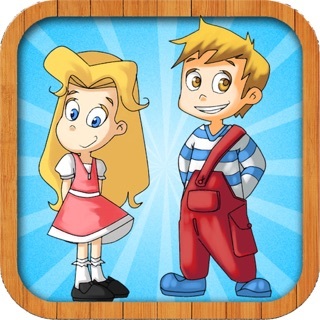 This application is appropriate for multiple populations, from children to adults, regular education and special education, with disorders such as autism as well. 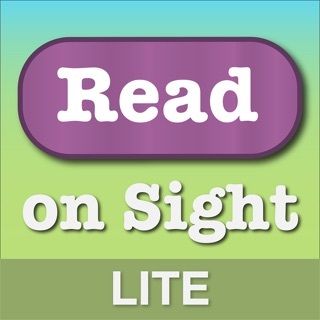 Parents, Educators, and Speech Pathologists will love the simplicity and teaching tools within this app, while users will enjoy the picture content and reward screen after number of correct responses. 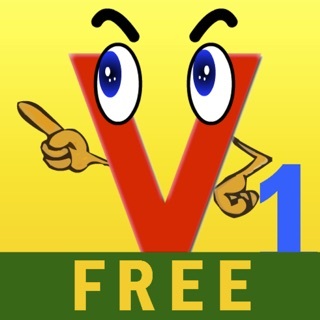 For regular education learning, young children are beginning to form simple sentences and to learn how words in a sentence need to be organized. 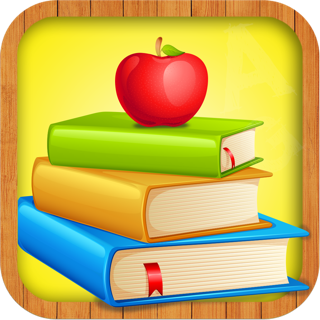 For special education, basic language skills are very difficult and must be taught in a structured way. 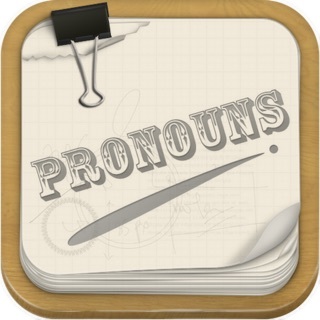 Interpretation of questions is an area of difficulty that is addressed in this app, explicitly teaching the components of “When?”, “How?”, and “Why?” within the sentence structure, using the language of time (before, after, when) and cause/effect. 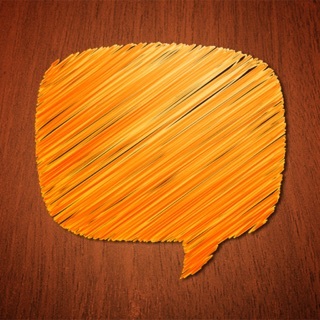 - Settings that allow changes to be made for individual users.